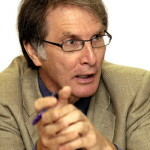 David Walker is Head of Policy for the Academy of Social Sciences and the Campaign for Social Science. A journalist and public affairs executive by background, he was until autumn 2013 Chair of the ESRC Methods and Infrastructure Committee, after seven years on ESRC Council. After leaving full-time journalism he became Managing Director, communications and public reporting at the Audit Commission and more recently has been part time director of getstats at the Royal Statistical Society and a contributing editor at Guardian Public. He is a non-executive director of Central and North West London NHS Foundation Trust and a member of the governance and ethics council of UK Biobank. Other board roles have included NatCen, Places for People and the Nuffield Trust. During his career in journalism he was a leader writer on The Times and chief leader writer for The Independent before joining the Guardian as analysis editor. He presented the Analysis programme on BBC Radio Four for several years and worked in the Britain section of The Economist. His books include, with Polly Toynbee, Cameron’s Coup; The Verdict, did Labour change Britain; and Unjust Rewards; with Jeremy Tunstall, Media Made in California and, with Peter Hennessy and Michael Cockerell, Sources Close to the Prime Minister. David was educated at the Universities of Cambridge and Sussex and the Ecole Pratique des Hautes Etudes. Social science: why does it matter?